What company (in their right mind) would reduce production when demand is growing…? Ferrari, of course. No other brand in the world has quite such exclusivity appeal. readthe press release below if you (like I) can’t believe it! Ferrari SpA, the Italian supercar manufacturer owned by Fiat SpA, plans to reduce sales to fewer than 7,000 vehicles this year to “maintain the exclusivity” of the brand. 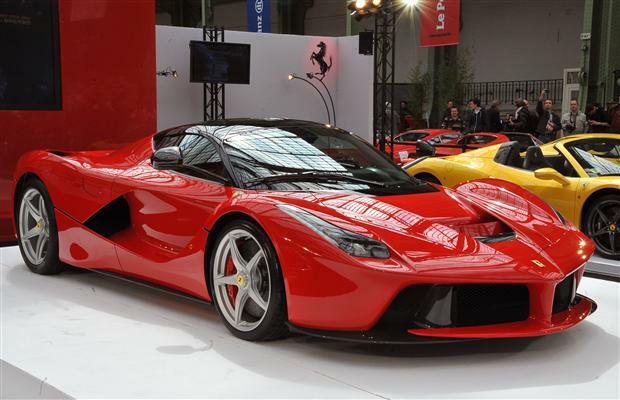 Ferrari, which unveiled the 1 million-euro ($1.32 million) LaFerrari hybrid model at the Geneva car show in March, plans to boost profitability with high-end, customized version of its vehicles while holding back on their availability. 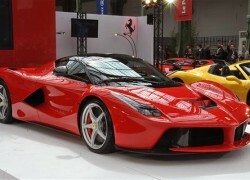 Ferrari sold 7,318 cars in 2012. The brand’s first-quarter trading profit, or earnings before interest, taxes and one-time items, surged 43 percent to 80 million euros, helped by higher sales and contributions from product licensing and car customization. Revenue increased 8 percent to 551 million euros. Ferrari plans to hire 250 workers this year, Montezemolo said today. Of the new employees, 200 will build engines for Maserati as part of Fiat’s plan to boost sales of upscale models to counter losses in the volume car business in Europe. The super-sports-car segment is expected to slow globally this year, Lamborghini Chief Executive Officer Stephan Winkelmann said yesterday in an interview. Montezemolo said Fiat doesn’t intend to sell shares in Ferrari or spin off the unit as part of the Turin, Italy-based carmaker’s plan to merge with its Chrysler Group LLC unit in the U.S.. Fiat CEO Sergio Marchionne wants to combine Fiat and Chrysler after buying full control of the Auburn Hills, Michigan-based division. Ferrari is in talks with Apple Inc. about broadening a partnership on in-car entertainment, Di Montezemolo said in March. The four-seat Ferrari FF model includes the U.S. mobile- device maker’s mini iPad tablets on the passenger seats. Eddy Cue, Apple senior vice president overseeing online services, joined the Ferrari board last year.